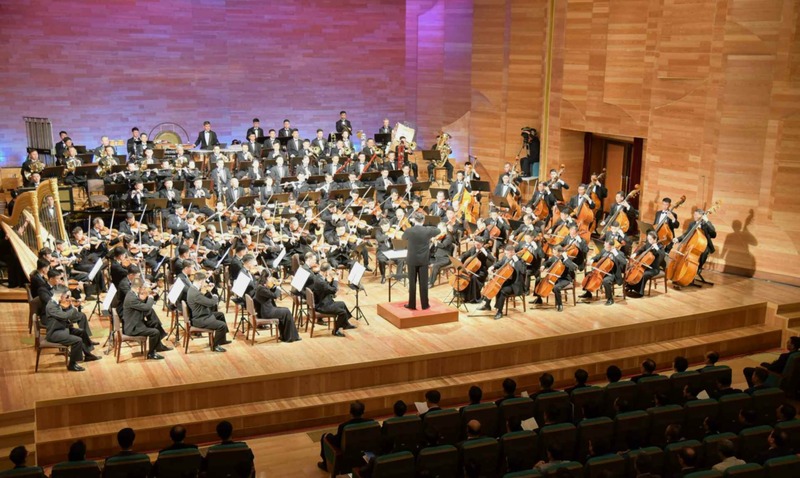 The National Symphony Orchestra gave a concert Socialist Symphony at Moranbong Theater on September 10 (Monday) to commemorate the 70th anniversary of the foundation of the DPRK. Attending the concert were Supreme People’s Assembly [SPA] Presidium President Kim Yong Nam (Kim Yo’ng-nam), State Affairs Commission Vice Chairman and Premier Pak Pong Ju (Pak Pong-chu), Workers’ Party of Korea [WPK] Vice Chairman and WPK Light Industry Department Director An Jong Su (An Cho’ng-su), WPK Vice Chairman for Workers’ and Social Organizations Choe Hwi (Ch’oe Hwi), Minster of the People’s Security Gen. Choe Pu Il (Ch’oe Pu-il), Minister of State Security Col. Gen. Jong Kyong Thaek (Cho’ng Kyo’ng-t’aek), Pyongyang City WPK Committee Chairman Kim Nung O (Kim Nu’ng-o) and DPRK Vice Premiers Ri Ryong Nam (Ri Ryong-nam), Jon Kwang Ho (Cho’n Kwang-ho), Kim Tok Hun (Kim Tok-hun) and Ri Ju O (Ri Chu-o), along with leading officials of various party, state and security organizations, leading officials and functionaries of national institutions and DPRK citizens who have received state awards for their work at various production units in Pyongyang. 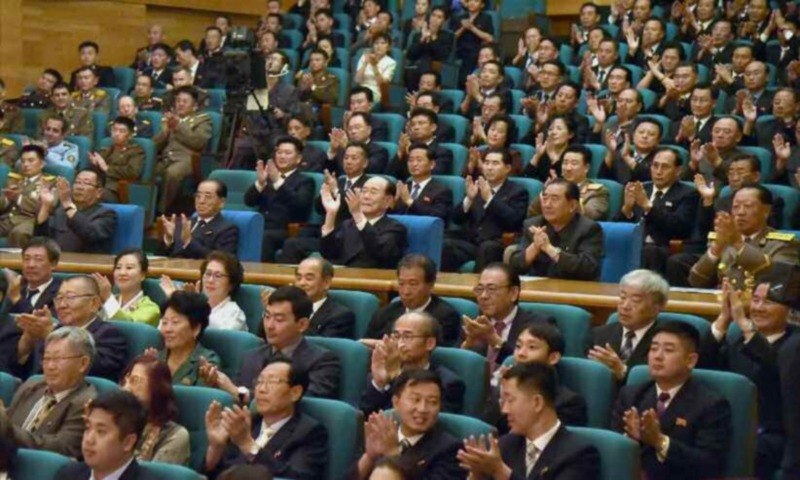 Members of the DPRK central leadership and audience members watch the symphony on September 10, 2018 (Photo: KCNA/Rodong Sinmun). Various foreign delegations visiting the country for Foundation Day events, the head of the Pyongyang mission of the Anti-Imperialist National Democratic Front and foreign diplomats, defense attaches and NGO reps stationed in the DPRK also attended the concert. The National Symphony Orchestra gives a concert to mark the 70th anniversary of the foundation of the DPRK on September 10, 2018 (Photo: Rodong Sinmun/KCNA). 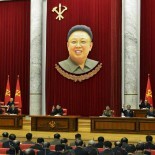 This article was written on 12 Sep 2018, and is filled under Central Broadcasting Committee, Central Committee, Central Military Committee, Central Party Affairs/Cadres 5th Section, Choe Hwi (PAD], Chongryon, Chosen Soren, Culture Section (bureau), DPRK 70th Anniversary (September 9, DPRK Cabinet, DPRK Diplomat Corps, DPRK External Relations, DPRK music, DPRK Premier, Executive Policy Bureau, Foundation Day (September 9th), Gen. Choe Pu Il, General Affairs, Guard Command, Jon Kwang Ho, Jong Kyong Thaek (State Security), Kim Family, Kim Jong-il, Kim Jong-un, Kim Nung O (NPyongan WPK), Kim Tok Hun, Kim Yong Nam, Korean People's Internal Security Forces, Korean Workers' Party (KWP), kpif, Ministry of Culture, ministry of people's security, Ministry of State Security, North Korean press, Pak Pong Ju, Party elders, Political Bureau, Propaganda and Agitation Department, Public Events, Public Information Commission, Pyongyang City People's Committee, Pyongyang WPK Committee, Ri Ju O (DPRK Vice Premier), Ri Ryong Nam, Secretariat, State Affairs Commission, State Security Department, Supreme People's Assembly, Workers' and Social Organizations.